Project Sales Officer is responsible in getting sales from top developers and contractors with specified account listing. H/She is also tasked to convert into sales the specifications done by Business Development Officers. 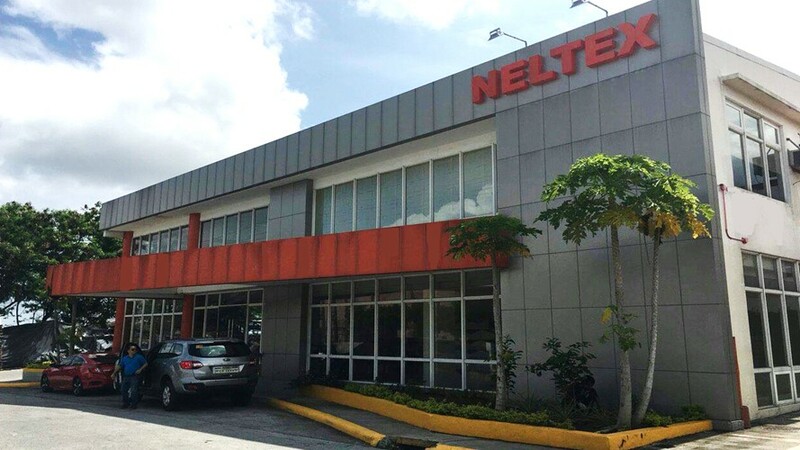 The target is to convert usage to Neltex Brands. Account coverage will focus on Top 10 Developers, Top 10 Plumbing Contractors, and Top 10 Electrical & Finishing Contractors. The total priority account coverage is top 30 accounts although he/she is also required to cover 50 listed accounts. He/she must also ensure to deliver an excellent customer service to all projects being serve and handle concerns encountered at the job site and other related concern as maybe required. At least three (3) to five (5) years selling experience in Construction Industry .With previous handling of developers & contractors; must have portfolio of known key accounts and contact persons. The Regional Sales Manager shall be responsible in the overall management of his team towards maximum achievement of sales target. He/she is also responsible in implementing sales strategies including trade sales promotional programs, in monitoring call frequency and coverage to increase the number of buying accounts, in identifying new markets to improve product sell-out from trade channel and in supporting new product sell-out. Assists and supports the Vice-President for Sales towards the achievement of the departmental and corporate medium to long term goals and objectives. • Responsible in planning, leading, organizing and controlling sales staff in the most effective way of hitting sales and profitability targets. Organizes entire Territorial assignment ensuring equal distribution of workload and maximum sales generation per Sales Person/Territory. • Develops sales forecasts and analysis. Keeps abreast with market trends and identify new and potential product lines. • Reviews sales action plans of District Sales Supervisor resulting from previous month's experience. • Actively participates in all business development activities in line with the organization's corporate business plan. • Maintains the highest standards of customer service in the market by developing customer-oriented strategies and by coordinating with support groups to address any concern. Immediately responds to customer needs and complaints. • Works closely with Marketing in the management of stock levels. • Leads subordinates in implementation of Trade Sales Promotional Programs to ensure maximum sales generation and market leadership. • Ensures achievement of collection targets in compliance with credit and collection policies. • Identifies significant credit and collection areas that require corrective action to align with the Company's credit risk philosophy. • Provides pertinent information on credit risks and works with the Credit and collection Department in determining necessary action to address the risks. • Implements correct pricing scheme and approves sales orders based on set authority limits to ensure compliance to price per account and dealer category. • Maintains budget expense to sales ratio of one's territory. The Warehouse Supervisor is responsible for supervising the overall warehouse operations for the effective material preservation to prevent loss through wastage, pilferage, and deterioration. Also responsible for the precise and reliable records and stock inventories versus the physical stocks on hand. Assists and supports the Warehouse Manager towards the achievement of the unit, departmental and corporate goals and objectives through maintaining an effective work group by providing technical assistance, training, developing and motivating subordinates to boost their technical competence and commitment to their assigned task. In lieu of educational qualification, competitive work related experience may be considered and must be approved by the requisitioning person and Division Head. Experience in using Microsoft Business Solutions Software is an advantage. Can operate forklift machine (manual/automatic). Strong in documentation and reports. The Senior Programmer is responsible for developing and implementing computer applications and programs based on business requirements in order to improve productivity and to reduce operating costs. Candidate must possess a bachelor’s degree in Computer Science, Engineering, and Information Technology. At least three (3) years of experience in SDLC and using data reports and Crystal Reports. At least two (2) years of experience in ABAP programming. The Management Accountant / Business Analytics Lead is responsible for the financial analytics reporting to management. He / She shall prepare and consolidate all management reports. He/She shall assess reports and, where possible, improves effectiveness of all reports templates. He/She shall spearhead creation of Management dashboards (and improvement thereof) for visibility and real-time assessment of enterprise performance and provide insights to management team for arriving at key strategic and operational decisions aligned to company’s strategic objectives. At least 3 Year(s) of working experience in the related field is required for this position. .
Comprehensive understanding of business reporting activities and processes Excellent oral, written and interpersonal communication skills. Exceptional analytical skills and attention to detail. Advanced level of knowledge/expertise in Excel (especially calculation and analysis related skills and knows other data analysis tools). Flexible, adaptable and able to work to tight deadlines. Can manage multiple deadlines and tasks. Ability to take ownership and drive deadline and comfortable following up with people to ensure deadlines are not missed. The SAP Systems Administrator is responsible for the management of the SAP environment including implementing, monitoring, tuning, and troubleshooting the SAP technical environment as well as scheduling and executing the SAP transport system. At least two years of experience as BASIS or SAP administrator. At least two years of experience in computer troubleshooting and repair. At least two years of experience providing hardware and software support to users. At least one year experience in domain controller and MS Exchange setup and configurations. At least two year of experience in installations and configurations of any of the following operating systems – Microsoft Windows Server 2000 to 2012, Windows XP/7/8, and Linux (any version). At least two years of experience in VMWare administration. The Marketing Officer is responsible for the planning, implementation and monitoring of Trade Incentive Programs. He/She collates, reviews and coordinates production forecast to MLD. He/She must be experienced and trained in coordinating, implementing, and managing budgets for all marketing activities, plans, and programs. Candidate must possess at least Bachelor's/College Degree in Business Studies/Administration/Management, Marketing, Advertising/Media or equivalent. The Brand Executive shall assist the VP - SMD in managing a brand portfolio of NDCI product lines to ensure the achievement of sales, profit, market share and over-all business objectives of the brands. Performs regular assessment of market development, competitive activities, business opportunities, price movements, and trade performances and makes informed decisions that are deemed advantageous for brand building, sustained market penetration and business growth. The Project Sales Manager shall be responsible for the overall management of the Project Sales Group. The Project Sales Manager is also responsible for the identification of business from identified large real estate developers and top contractors as well as the consequent formulation and implementation of activities that will allow the Project Sales Group to achieve its sales targets. HMO (Medical, Dental, Accident & Group life) covering up to 3 dependents. The Marketing Manager is responsible in developing and expanding the business by planning, leading, organizing and controlling all sales activities towards maximum attainment of sales targets thereby ensuring profitability and market dominance. Directly reports to the Vice-President of Sales & Marketing and is an Executive level position. Assumes an active part in the achievement of the Company's key business objectives. Preferably BS Commerce (Major in Management) or BS Engineering Graduate. Preferably a holder of a Masters in Business Administration (MBA) Degree. At least five (5) - ten (10) years related experience in the same or similar capacity gained in a manufacturing or medium-sized company handling similar sales team set-up.